At my very core, I’m a storyteller and I strive to infuse my paintings with those stories that excite me. Stories of the American west are always front and center. Cowboys, cattle, action scenes and moments of quiet contemplation are what I love. The authenticity of historical scenes or telling the story of today’s working cowboy is where my passion lies. It’s really all about what the painting has to say that makes it personal and unique to me. Most days I can be found in painting in my studio, but I also love to paint on location (en plein air), a practice I’ve been enthusiastic about since I started painting. Without a doubt, plein air painting is the best way I’ve found to become a better painter. Not only does it teach me about being accurate in my values, color, and atmospheric perspective, but it makes me paint through distractions like changing light, wind and curious passersby. You learn to make better decisions more quickly and to trust them. These days I make my home in Prescott, Arizona, in the very heart of the subject matter that fills my soul. When I first started, I was often asked why I paint cowboys. I believe I’m not only painting a way of life that is almost gone, but also a mythology that represents America at it’s very essence. The cowboy code is based on a set of ethics that reflects the best of not only who the cowboy is, but who we are as a country. Things like, “do what has to be done”, “ride for the brand” and “live each day with courage” has helped to weave the cowboy into the very fabric of this great nation. It’s how I strive to live my life, and it’s what I aim to have shine through in the stories I tell. It’s a beautiful painting Steve! 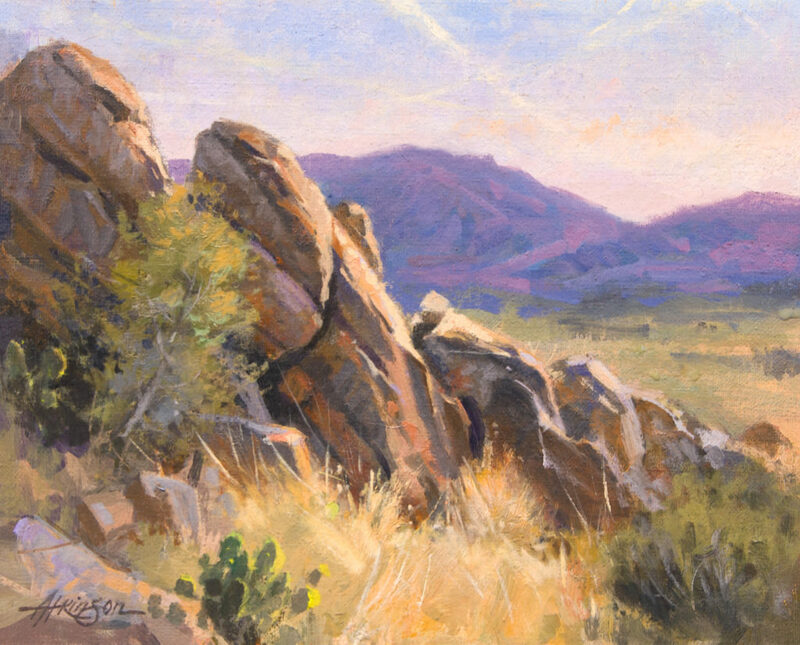 I love all of your artwork, but there is a freedom that shows up in your Plein Air painting!